Huge congratulations from NWT Snowboard to our coaches and athletes at the 2018 Arctic Winter Games, where Team NT earned 14 ulus! 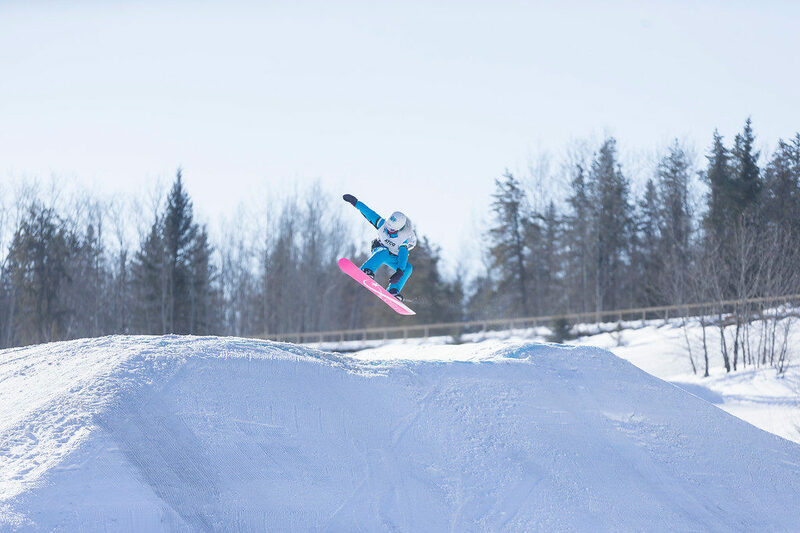 Ben Toner took an amazing gold ulu in the junior male snowboard cross, the territory’s highlight of the week at the stunning Fort Smith hill – big thanks to the Fort Smith club and volunteers for doing such a great job to give us the best venue of the Games. Our athletes won nine silver ulus: Tegan Konge came second in big air, rail jam and snowboard cross as well as overall; Ben Toner was second in big air, banked slalom and overall; Milo Martin was second in snowboard cross, and Georgia Martin took silver in banked slalom. Tegan and Milo also had banked slalom bronze ulus, as did River McQueen. Georgia was overall bronze medallist in the junior female division. We’re proud of our team and coaches Liam and Chelsea, who gave up so much time to work with the team and look after our athletes throughout the week. Thanks, too, to the dedicated parents who invest their time and energy into our sport to help their athletes and make things the best they can be. Looking forward to entering another great team for 2020 in Whitehorse! To see photos from the Games, check us out on Facebook.